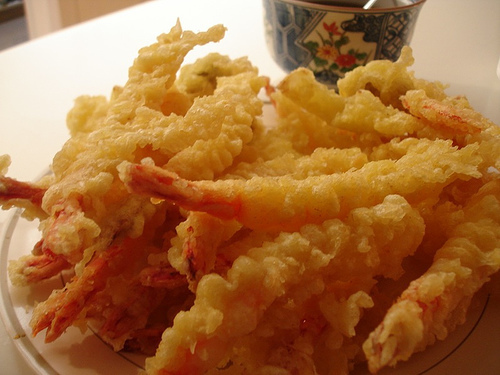 Tempura is commonly used in Japanese cuisine and is very popular in many parts of the world. The reason is simple...because it is delicious! Enjoying food that is battered and fried seems to be in people's DNA and is something shared by people in almost every part of the world. On this page we are going to take a brief look at exactly what Japanese tempura is, what its origins are, how it is used, and how to make it yourself. Japanese tempura is a light batter that is made from water, flour, eggs, baking soda or baking powder, starch, oil, and sometimes spices. 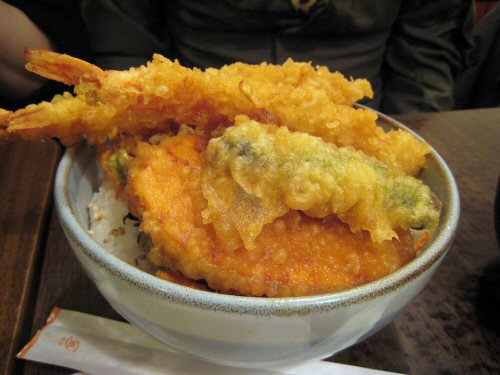 The use of tempura in Japan dates back to the mid-16th century where it was introduced by Portuguese Jesuits. Many western foods started to be introduced later in the 18th/19th century and they were termed with the name of Yosuhku - Western dishes. Dishes such croquettes, curry and furai are good examples. The word tempura is derived from the word tempora which is a Latin word that means 'times' or 'time period'. The word tempora is used by Spanish and Portuguese missionaries to refer to Ember Days and other Christian Holy days. 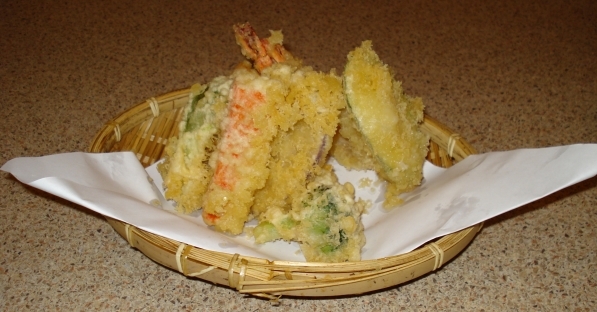 Japanese tempura is typically used for frying vegetables or seafood. 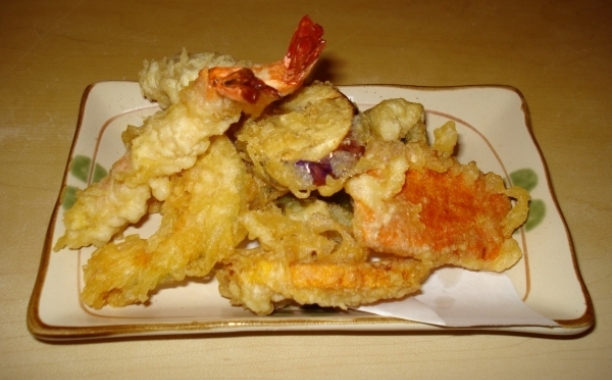 It's common to use tempura on shrimp, lobster, and various types of fish. It is also popular to be used on veggies like eggplant, asparagus and lots of other vegetables. 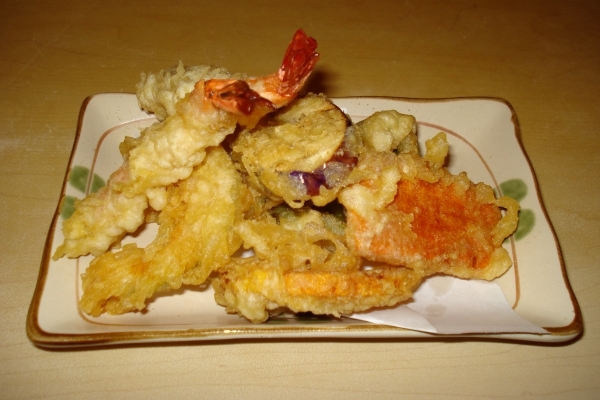 However, the use of Japanese tempura is not limited to seafood and vegetables, Chicken and Tofu are popular items as well. It can really be used on just about anything that you would like to batter and fry. If you would like to try to make your own Japanese tempura batter at home it's really not too difficult, but there are some important tips to keep in mind. One important factor is the way ingredients are put together and the process. 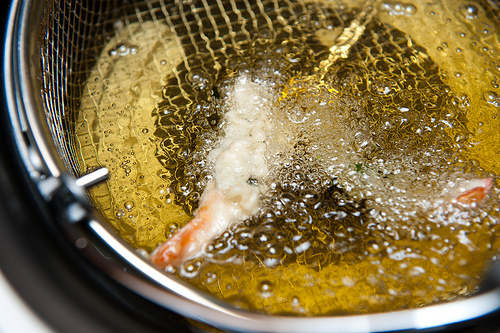 As many Japanese Chef take pride in the start and end from mixing the ingredients, battering and then frying. It isn't a rush process. One of the most important tip is the water used in the recipe has to be cold. Tempura is normally made in small batches. It is okay if there are lumps in the mixture because it is more important not to over mix it. The cold temperature and limited mixing results in a fluffier, crispier texture when the batter is cooked. If the batter is mixed too much the result will be a chewy, dough like texture when the batter is fried. To learn more about Tempura, please check out our 7 intriguing facts article. Do you know that the rice that we serve in our plates are actually seeds of a grass that comes from the species Oryza. Japanese Hot Peppers? Check out Sansho! Sansho Japanese pepper is obtained from the Japanese prickly ash. It is closely related to Sichuan pepper but has more pronounced citrus flavors. Most of us enjoy wasabi, especially with your favorite sushi or sashimi.